Combine the best of both worlds—an all inclusive resort AND a water park—on your next family vacation. 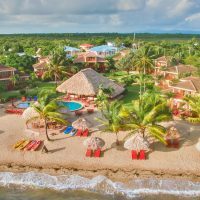 Many all inclusive Caribbean resorts allow you to enjoy accommodations, meals, kids’ programming and yes, even admission to the onsite water parks, in one easy rate! 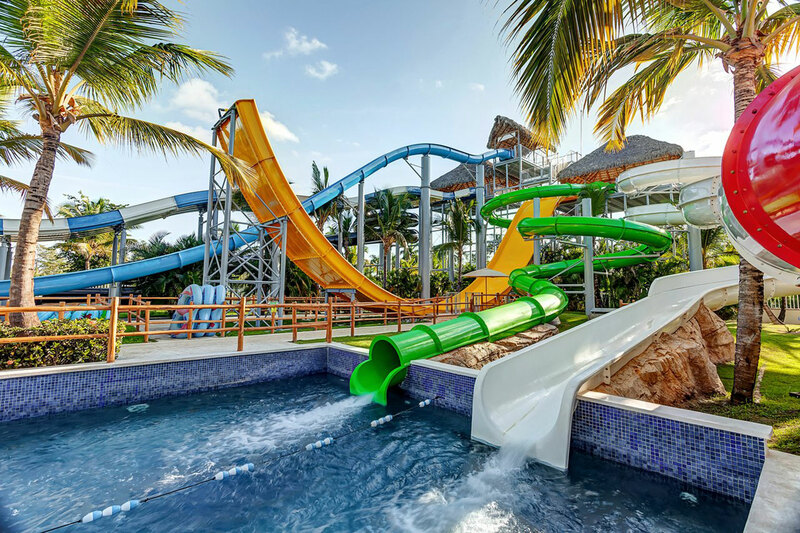 Choose one of these all inclusive Caribbean resorts with water parks for your next family vacation (and if you’re looking for all inclusive Mexico resorts with water parks, check out the 11 Best All Inclusive Mexico Resorts With Water Parks). 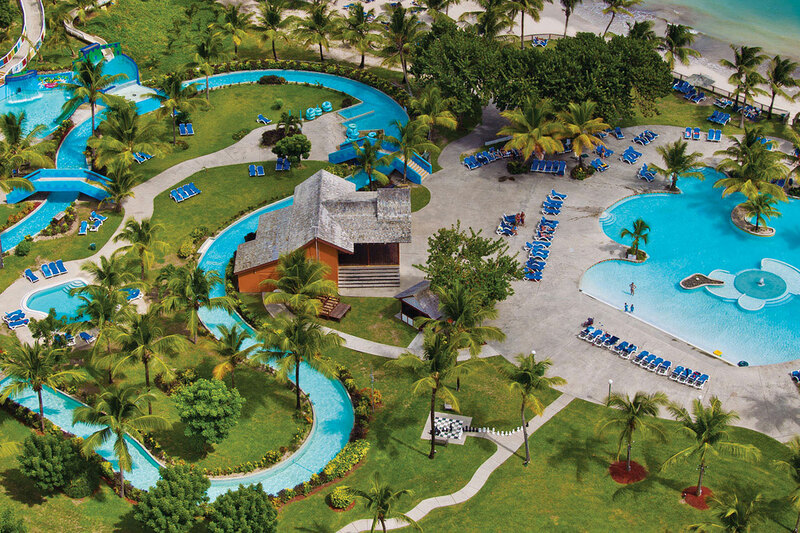 The largest water park in St. Lucia, Splash Waterpark features two waterslides and a lazy river. This beachfront resort also offers five swimming pools. 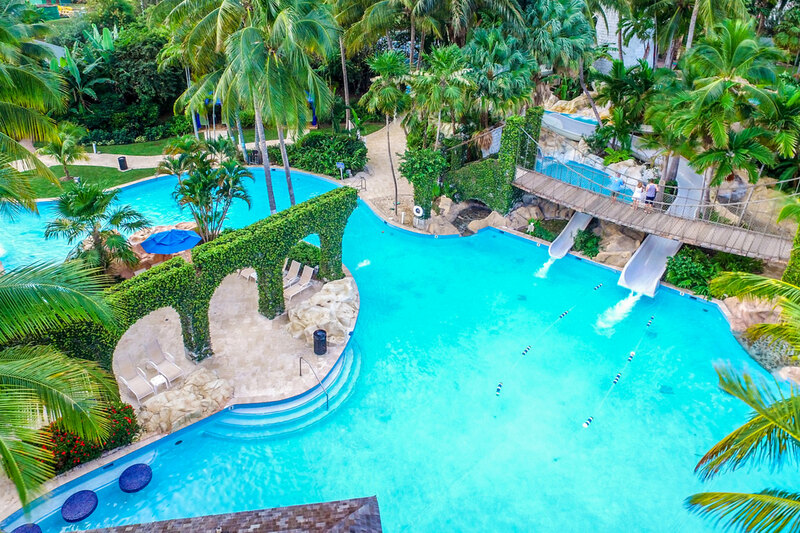 Coconut Bay Beach Resort & Spa is actually divided into two sections—Splash for families and Harmony for adults—making it the perfect destination resort for multigenerational groups. 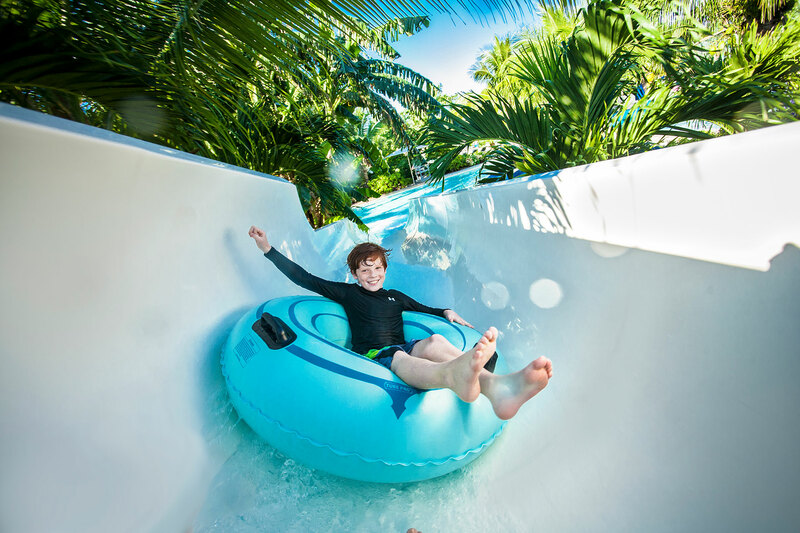 Sugar Mill Falls Water Park at Hilton Rose Hall Resort & Spa offers something for everyone, from private cabanas for parents and babies to a 280-foot waterslide for the adrenaline seekers in the family. Other features include secluded spa tubs, a kids’ area, scheduled family activities and live music. Sugar Mill Falls is the largest water park in Jamaica. 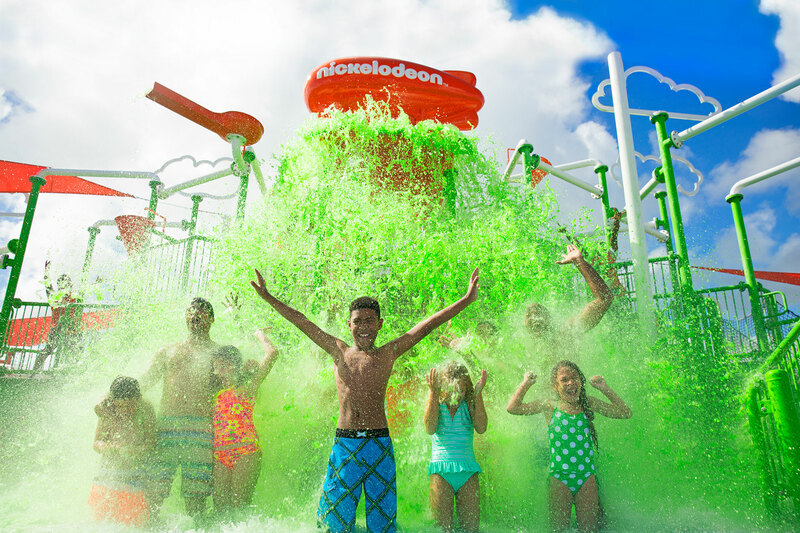 Part of the Nickelodeon Hotels & Resorts Punta Cana, which made its debut in 2016, Aqua Nick touts a lazy river, waterslides, splash pads for kids and more. There’s also Mass Slimings, in which Nickelodeon’s signature green slime is poured onto the crowd! A similar resort, Nickelodeon Hotels & Resorts Riviera Maya, will debut in 2020. 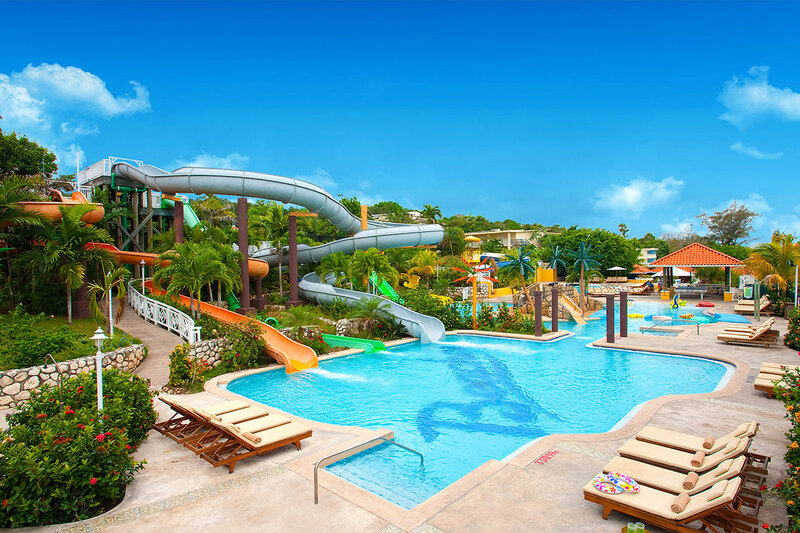 Another all inclusive Caribbean resort with a water park, Jewel Runaway Bay Beach & Golf Resort is perfect for youngsters, with a zero-entry lagoon, two activity pools, two waterslides and even a family raft ride. Extra perks include live entertainment, private cabana rentals and dining options—including an ice cream hut! Be forewarned—you will have a very difficult time pulling the kids from Pirates Island Water Park. 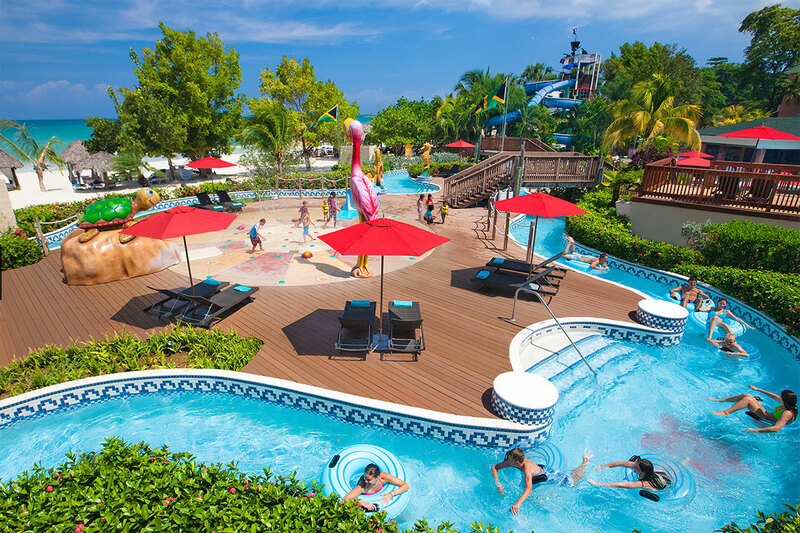 Located at Beaches Turks & Caicos, this water park has it all (and then some): waterslides, a lazy river, zero-entry pool, water cannons, a kids’ pool and even a kids-only swim-up bar! The all inclusive water park resort also has a surfing simulator. Also in Jamaica, Beaches Ocho Rios offers its own version of Pirates Island Water Park. We especially love that it offers a kids’ zone with six kiddie slides and a zero-entry pool for youngsters! 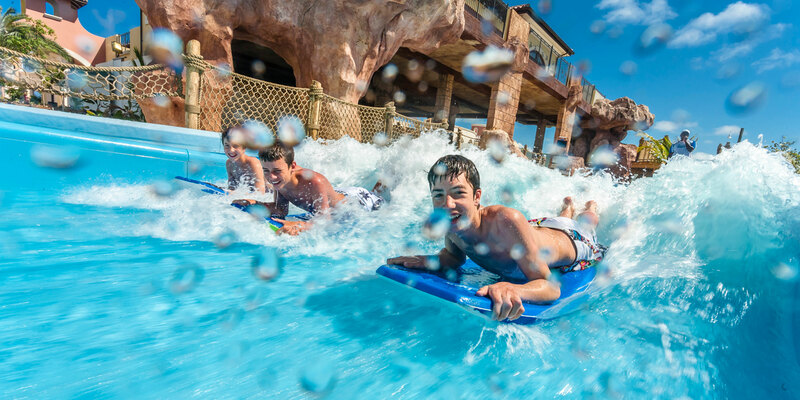 Big kids can get their thrills on at the speed slide, body slide, and surfing simulator. Pirates Island Water Park also has a location at Beaches Negril in Jamaica. 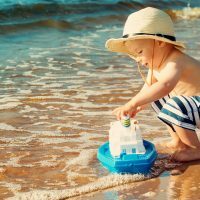 The beachfront water park offers a winding lazy river, waterslides, a plunge pool, misting pool, kiddie features (dump buckets, sprayers) and more. Stop by the ice cream machine when it’s time for a break! 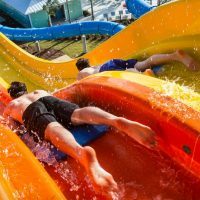 Who has the largest water park in the Caribbean? Memories Splash Punta Cana! The water park includes six waterslides and a wave pool, plus splash pads for little ones. This water park resort also offers three swimming pools and is a short walk from the beach. 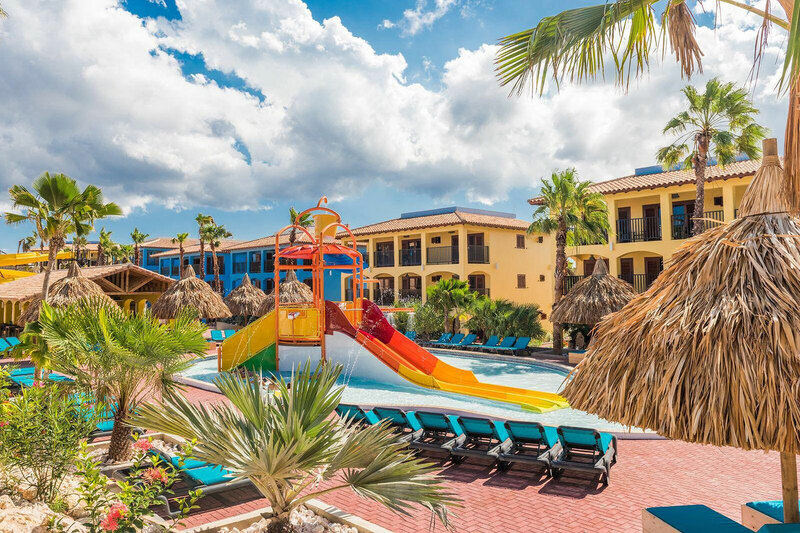 Ask any local what the most family-friendly resort in Curacao is, and they’ll tell you it’s the Kunuku Aqua Resort. 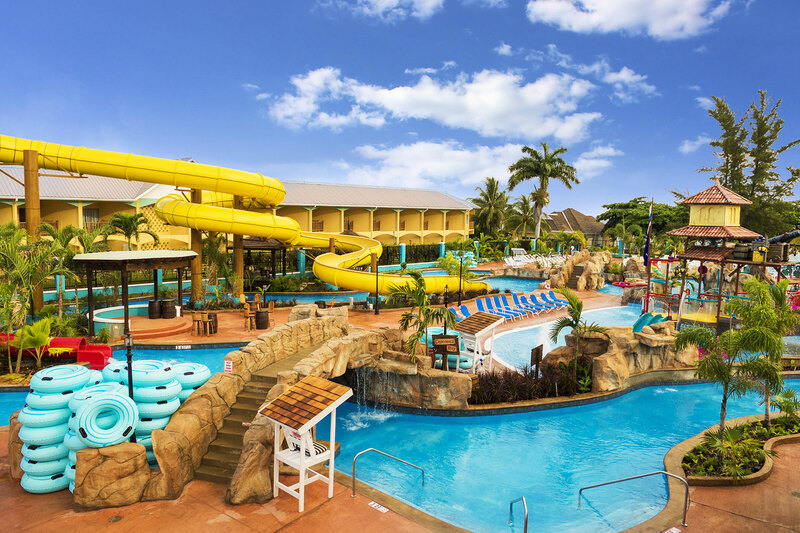 This all inclusive Caribbean resort features a water park with seven swimming pools (including one just for young kids) and five waterslides. 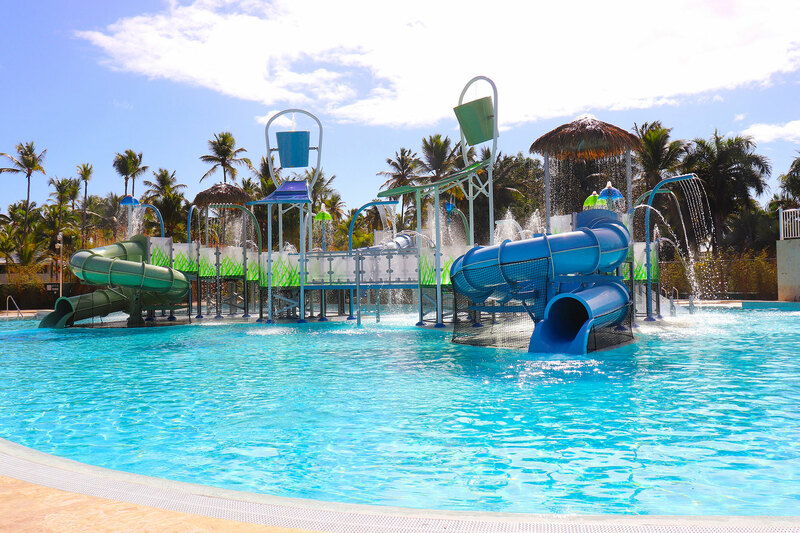 Opened in 2018, Melia Caribe Beach Resort features Splash Island Water Park, complete with three waterslides, spray features, waterfalls, and dump buckets. The water park is especially ideal for young kids.